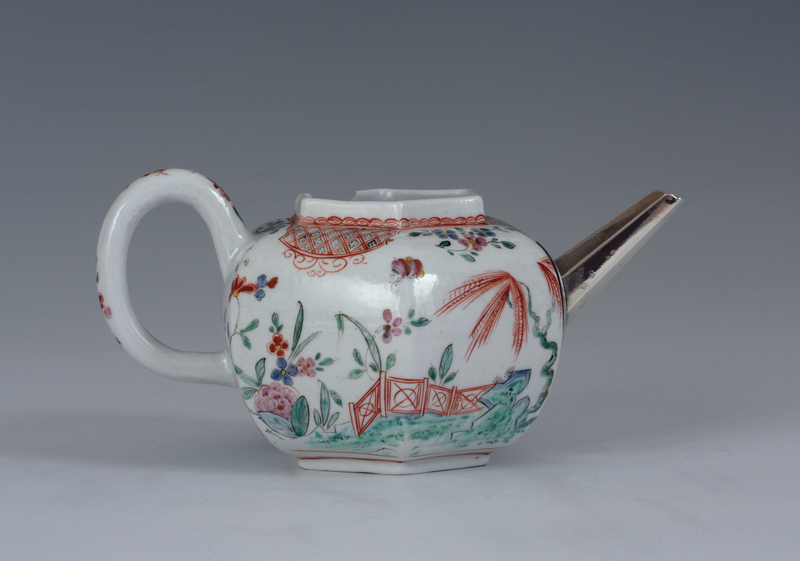 This is one of approximately forty know examples of this rare group of the earliest English porcelain made by Thomas Frye and Edward Heylin using kaolin imported from the American colonies. 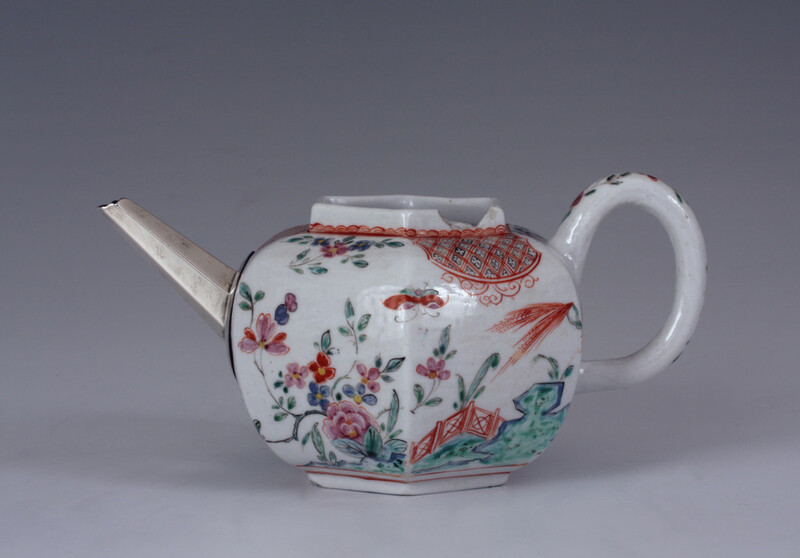 Frye and Heylin took out a patent on 6th December 1744 to make porcelain using “..an earth, the produce of the Chirokee nation in America, called by the natives unaker..”. 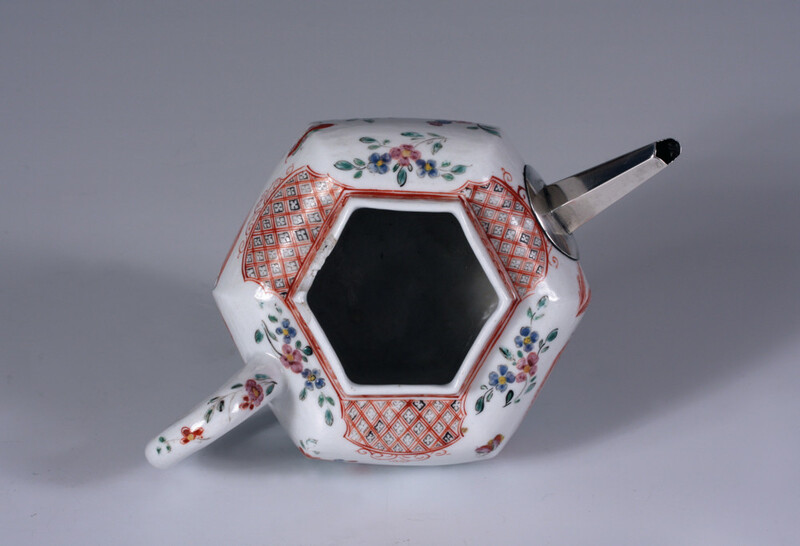 It is probably the last remaining teapot of this group in private hands. Literature – R.J. Charleston and J.V. 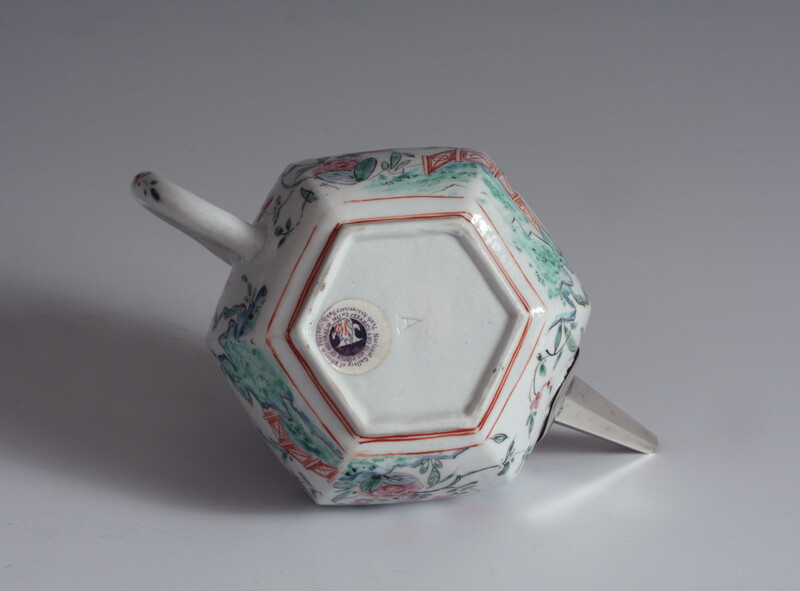 Mallet, ‘A Problematical group of eighteenth-century porcelains’, Transactions of the English Ceramic Circle, VIII, part I (1971), 89 and Pls. 65-66. W.R.H. Ramsay, A. Gabszewicz and E.G. Ramsay, ‘Unaker, its possible source, mineralogy, geological setting, and its relation to the Bow porcelain factory’, Tranactions of the English Ceramic Circle, XVII, Part 3, (2001), 474-99.